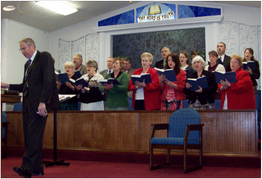 Our worship services combine singing of traditional hymns, special music, and preaching of God’s Word. Our Wednesday Prayer Meeting opens with song, followed by a study of God’s word and concludes with a time of prayer. Our teens are taught bible lessons. Our teens participate in, and are part of, our worship services. Our teens join in our bible study and prayer. We have programs available for children of every age. Everyone who works with our children is screened and background checked. We provide a graded Sunday school for all ages. Each classroom is marked on the door in the downstairs Sunday School building. Kindergarten and below ages meet in a separate junior church. 1st through 6th grades meet in the fellowship hall after the song service in the auditorium. We have a team of young people who help with the puppets in the older junior church. Our nursery is open each service and staffed by qualified adults. The nursery takes children three and under. We have children’s clubs meeting every Wednesday night throughout the school year. The Kid’s Club is for first through sixth grade children, and the Pewee Club is for children three to five years old. The children are taught Christian character and singing. These clubs sing periodically in the Sunday evening service. Our choir sings in the Sunday morning services. The choir practices each Sunday and Wednesday night before the services. 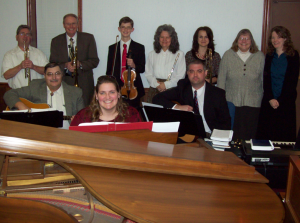 Our small Orchestra plays each Sunday night and occasionally does offertories. We practice after the Wednesday evening prayer meeting. 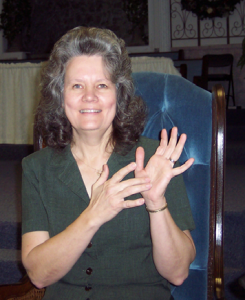 We reach out to the deaf in our community. We have an interpreter for every service. We record every Sunday Service and every special service in our church. These are available on Compact Disk(CD) or online. Meets regularly to pray for our many missionaries. They also send cards and encouragement to the missionaries throughout the year. 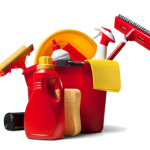 We have a group of retirees and younger people who meet at the church every Thursday morning to clean the church. Afterwards, they have fellowship time with coffee and snacks. They bless us all by keeping the church in good order. Anyone is welcome to come and help! 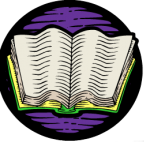 We offer Bible College courses through the Baptist Bible Institute of Bucyrus, Ohio. This is a classroom type program, and you will be taught by solid Pastor’s from the area including our own Pastor Floyd Radebaugh. Contact us to inquire about the Bible College, costs, programs offered, etc. You can also click on the logo above to read more about the college itself.